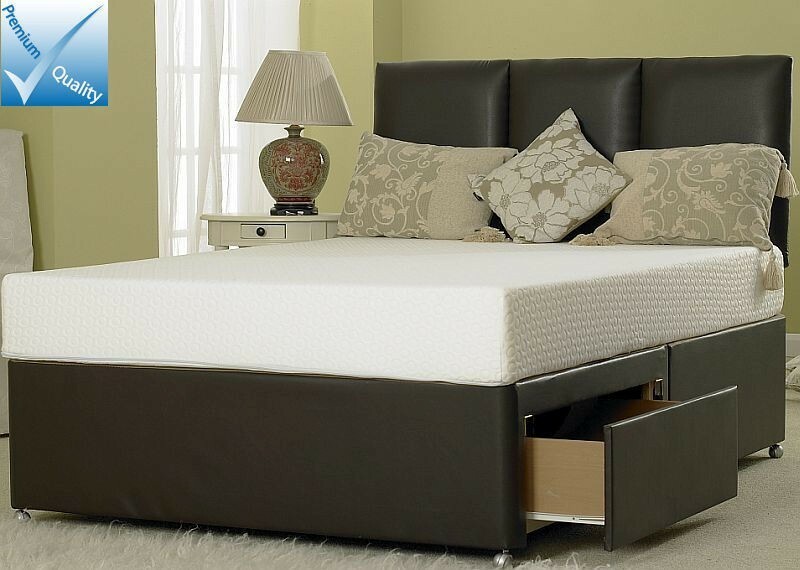 Luxury 4ft Small Double Divan Bed Base finished in Brown Faux Leather. This Divan is delivered in two halves and comes with castors and attachments for a headboard. Requires simple assembly by way of a clip to join the two halves together. No extra tools are required. You can have storage drawers anywhere on the bed base.